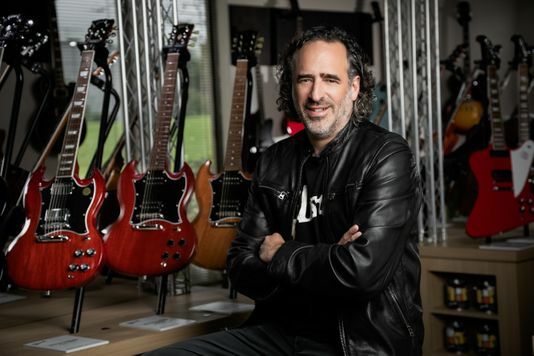 Nashville-based Gibson Brands on Tuesday announced the hiring of a new CEO and senior leadership team to lead the iconic guitar company out of bankruptcy. The new president and CEO is JC Curleigh, who comes to Gibson’s Nashville headquarters from Levi Strauss & Company. Curleigh and his new leadership team will take over beginning Nov. 1. After years of financial turmoil, Gibson filed for federal bankruptcy protection in May. The company struck a deal with its creditors to reduce its debt. The arrangement had the support of more than two-thirds of Gibson’s lenders. The hiring of Curleigh ends the tenure of CEO Henry Juszkiewicz, who along with Dave Berryman purchased Gibson during another low point for the company in the 1980s and restored it to prominence. Juszkiewicz will stay on as a consultant for one year and assist in the transition. But when guitar sales began to decline, Gibson ventured from manufacturing musical instruments to attempts at becoming a musical lifestyle brand. Gibson took on debt to buy electronics companies. But as its overall revenue grew, its profit margin shrunk. In addition to Curleigh, Gibson has hired Cesar Gueikian as Chief Merchant Officer, Kim Mattoon as the Chief Financial Officer and Christian Schmitz as Chief Production Officer. Mattoon’s hiring will be especially scrutinized since analysts singled out the high turnover rate among senior financial executives as a critical shortcoming of Gibson in recent years. Curleigh heralded this as a “new era” for Gibson, best known for its electric guitars especially its Les Paul models.